According to legend, the Virgin appeared on a hawthorn to a shepherd named Rodrigo de Balzategi, and he asked astonished : “Arantzan zu?” (You in a hawthorn?). During the following centuries the Franciscan friars made Arantzazu a place of devotion and pilgrimage, and an exponent of art and culture. The Sanctuary of Arantzazu, in the municipality of Oñati, is hanging over cliffs and built on rocky outcrops in a wild and natural area. The footprint of the sculptor Jorge Oteiza, author of the sculptures of the 14 apostles of the façade, is present throughout the whole. The iron doors are by Eduardo Chillida and the paintings by Nestor Basterretxea and Lucio Muñoz. The natural park of Aizkorri-Aratz, located between the provinces of Alava and Gipuzkoa, stands out for its limestone saws and endless beech forests. 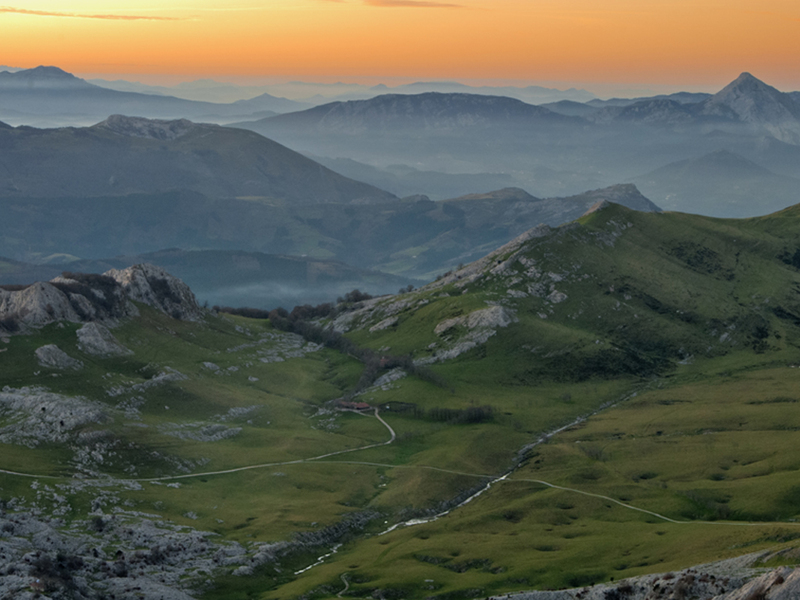 It has the highest peak in Euskadi, the Aitxuri (1,551 m) and the legend says that among its peaks can still be found the mythological goddess Mari. The main entrance of the park is located next to the spectacular Sanctuary of Arantzazu, hung in a pronounced ravine, it is a must for its architectural and artistic interest. The park of Aizkorri Aratz houses treasures such as the Tunnel of San Adrián, which hides in its interior a hermitage of the same name and a medieval road, very busy in another era. 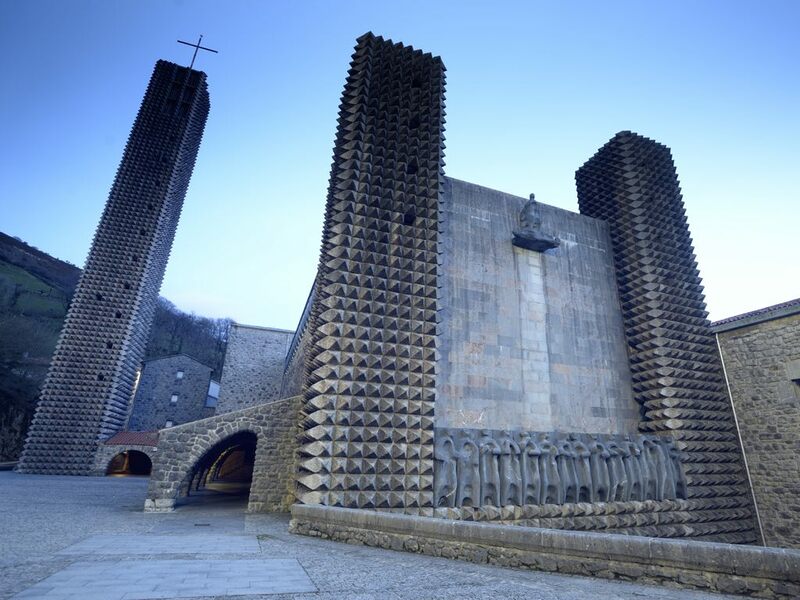 The information center located in Arantzazu offers a large permanent exhibition. he Guipuzcoan mountain range of Aizkorri is the guardian of a fascinating as well as ancestral world: the Arrikrutz Caves. A space, in which the passage of the centuries has only increased its beauty. 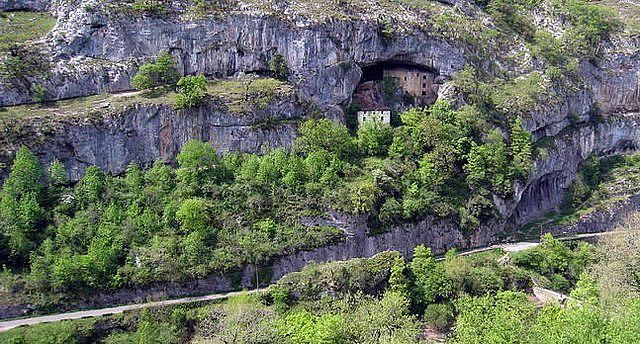 The caves, located in the karst complex of Gesaltza-Arrikrutz, are an extensive natural museum sculpted thanks to the strength of the water of the Aldaola River against its rocks. 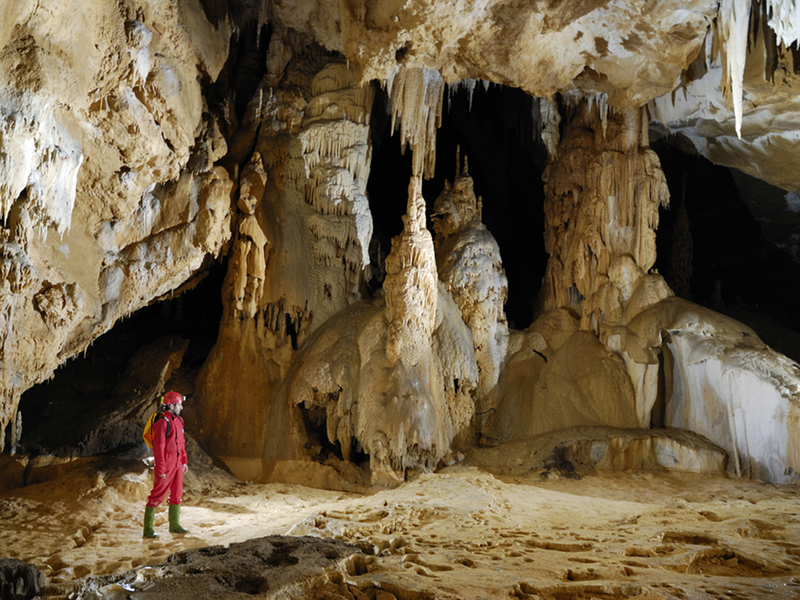 In total, 14 kilometers of underground galleries composed of stalactites and stalagmites, which make the visitor feel small before the magnificence of the power of nature, allied with the passage of centuries. The discovery of a complete skeleton of a cave lion is undoubtedly one of the most important to date. Currently, gallery 53 is the only one open to the public. Throughout its 500 meters in length, visitors can admire the incalculable beauty of a space that, regardless of its natural evolution over the years, has remained intact. Oñati is the most monumental village in Gipuzkoa and one of the most beautiful towns in Euskadi. Located in the region of Alto Deba, at the foot of Mount Aloña, the steep slopes that surround the town hide an exceptional historical center, marked by remarkable buildings, palaces and churches of great architectural value. 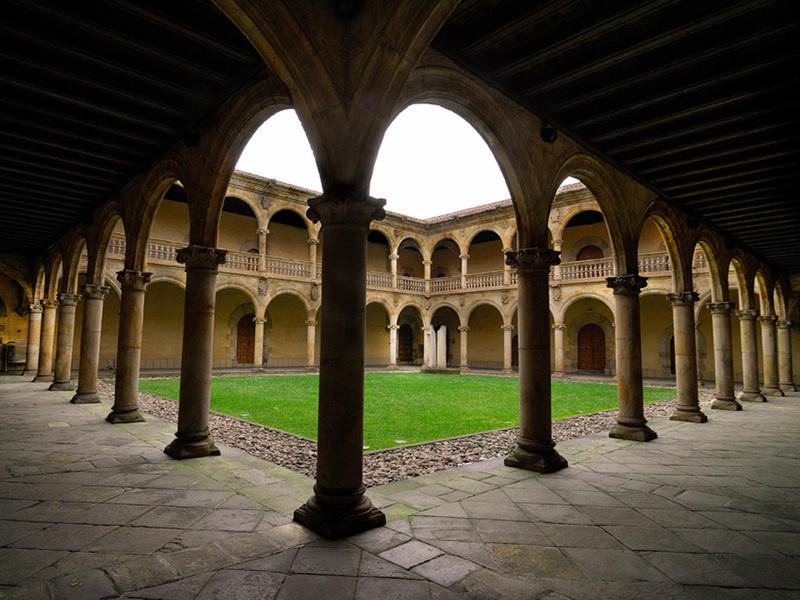 Sancti Spiritus University, located in one of the main accesses of Oñati, is considered one of the jewels of the civil architecture of the Basque Renaissance. Built in the 16th century as a project by Bishop Rodrigo Mercado de Zuazola, its facade is elegant and stately. Inside, the cloister and the plateresque altarpiece of the chapel, carved by the French sculptor Pierres Picart, stand out. Other attractions for the visitor are the parish church of San Miguel, with a mixture of Gothic, Baroque and Neoclassical; the Bidaurreta monastery, of great proportions and Gothic façade sculpted in the 16th century; the imposing Plaza de los Fueros, presided over by the town hall, and the Plaza de Santa Marina, surrounded by beautiful palaces such as Antia, Madinabeitia and Baruekua. With more than 300 routes, Araotz is the reigning school of Gipuzkoa. Its style of climbing is very varied according to the route and sector: tracks with block passage, technical climbing on rulers and laterals, strength over fissures and few continuity routes. In common the requirement and quality in all grades.